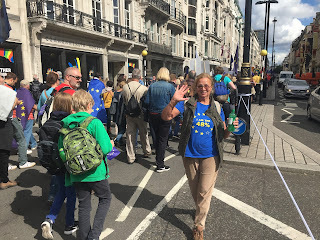 Today we were again in London for yet another #StopBrexit march. As with all the other ones before attendants were in good spirits and had turned out in large numbers. The march started at the time stated in the info pack, at 12 noon! direction of Hyde Park Corner Underground station. 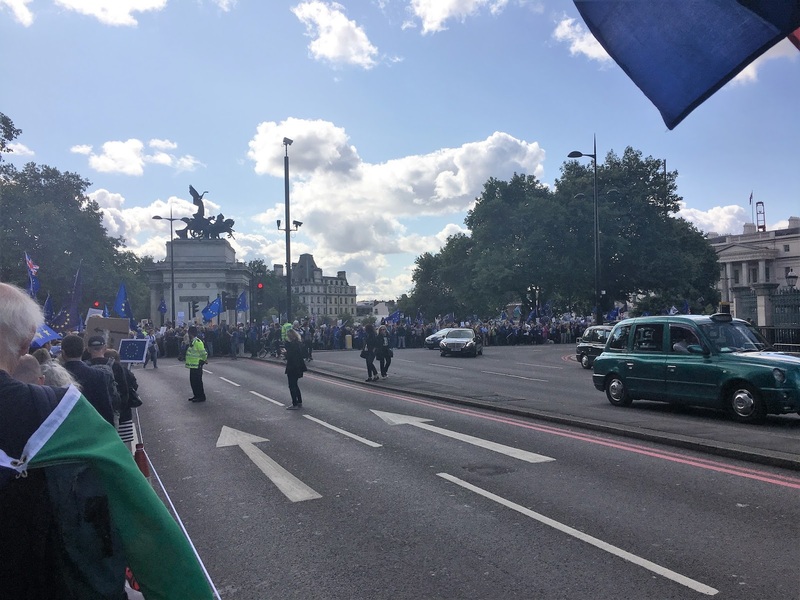 They all had to wait for us! 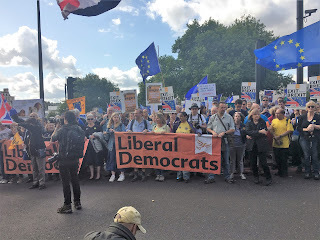 The Lib Dems loud and proud. 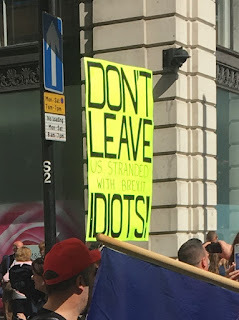 them, they were allowed to join in. Walking down Piccadilly, next to Green Park. 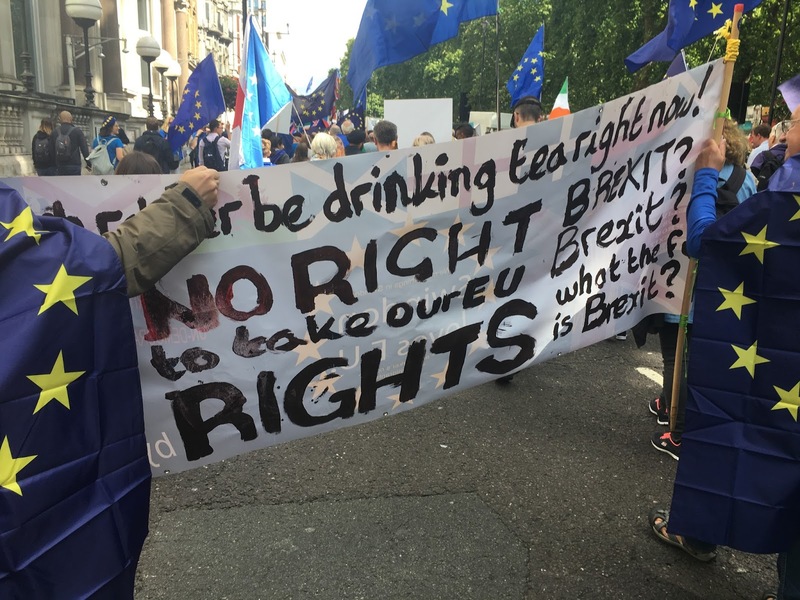 "I'd rather be drinking tea right now! NO RIGHT to take our EU RIGHTS. 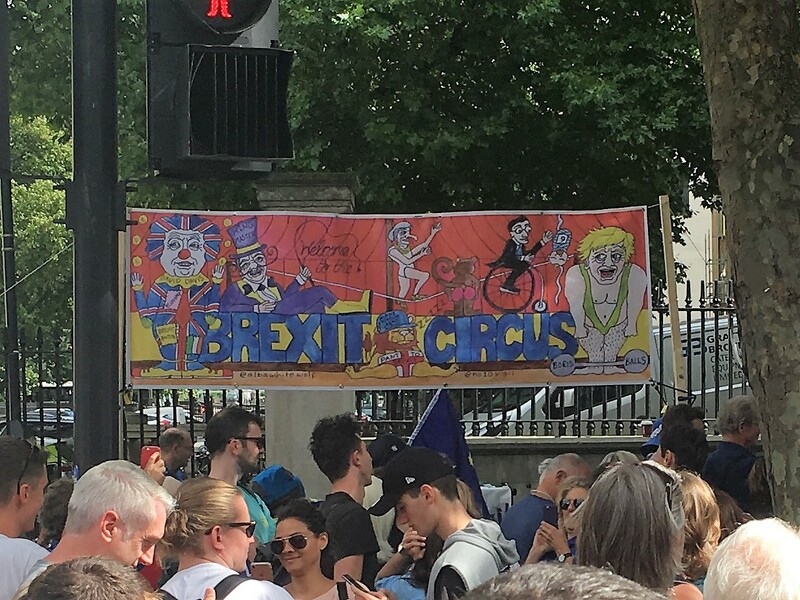 BREXIT? Brexit? 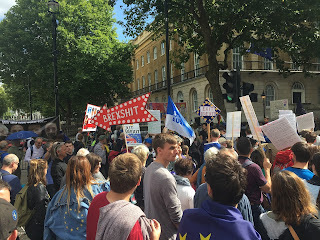 What the fu is Brexit?" 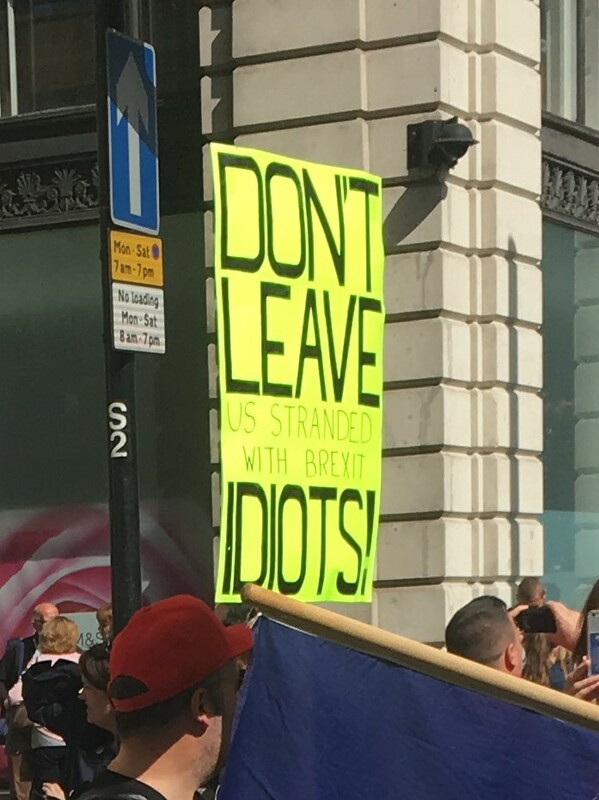 "Don't leave us stranded with Brexit idiots!" St James's Palace in front of us. 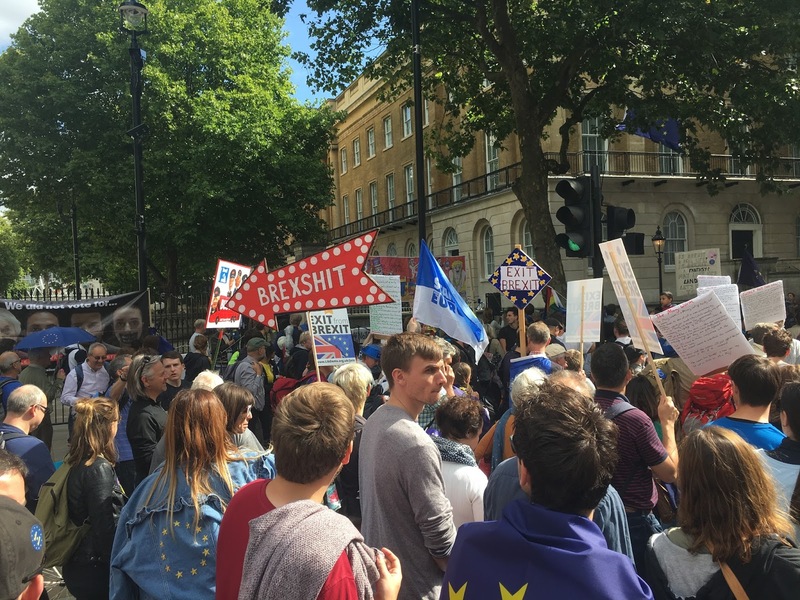 Chanting "This is insane - we must remain!" 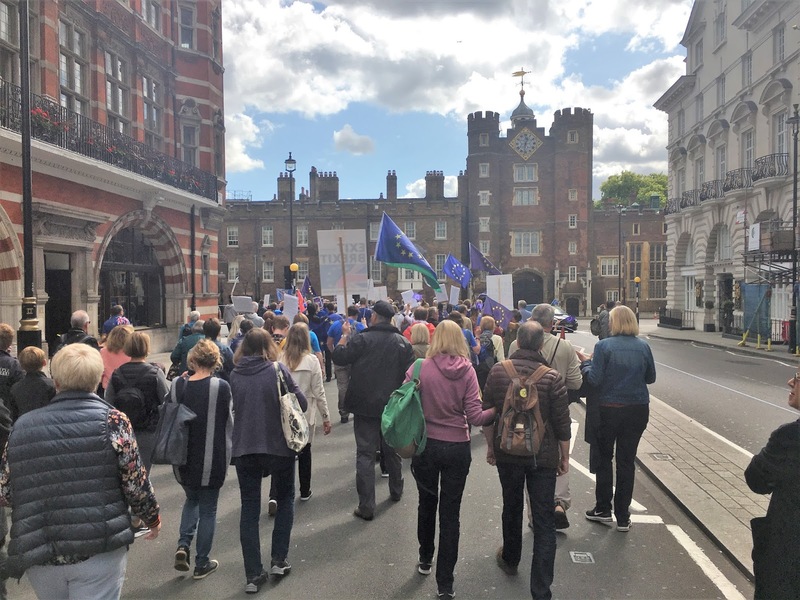 Finally down Whitehall, Big Ben is in sight. 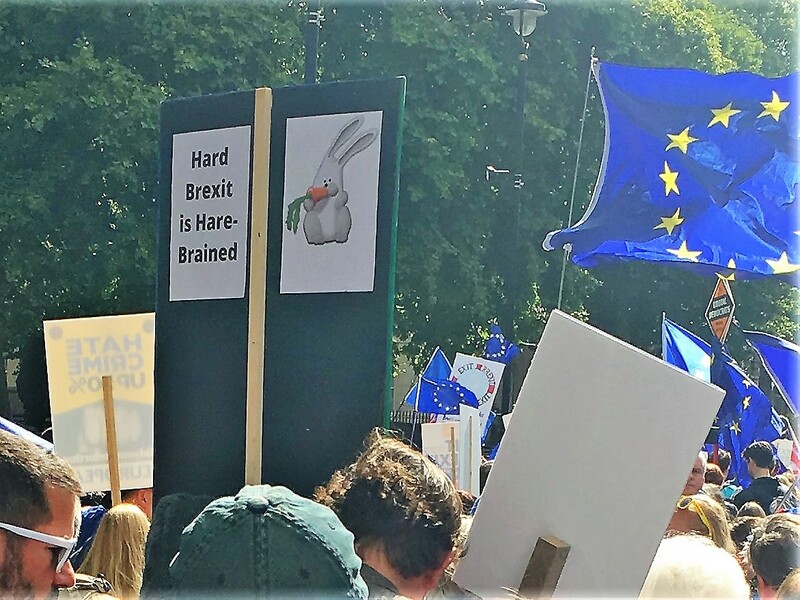 big screen showing what was going on on the stage. Listening to some of the speakers at Parliament Square. 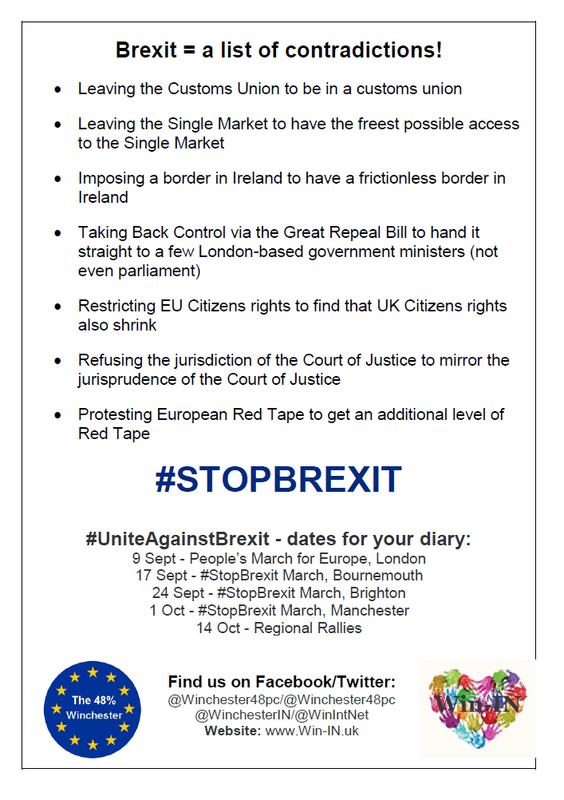 Please also take a look at the updated Events page! 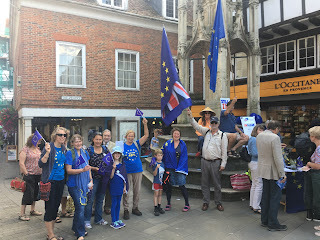 Winchester is a good place for a pro-EU gathering! Today we had our Pro-EU gathering in Winchester at the Buttercross. 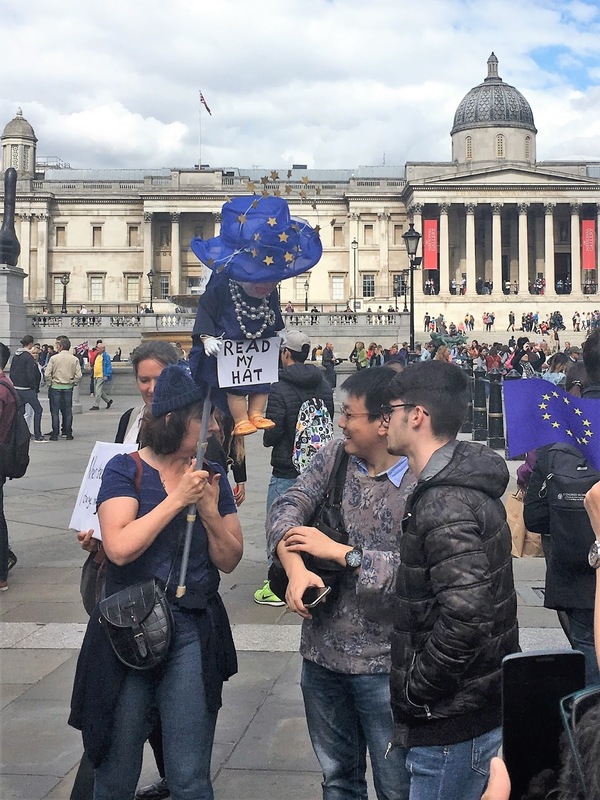 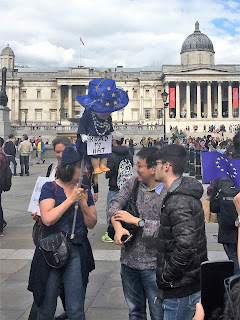 It was a very friendly affair and while we encountered some Brexiters, the discussions remained civil. 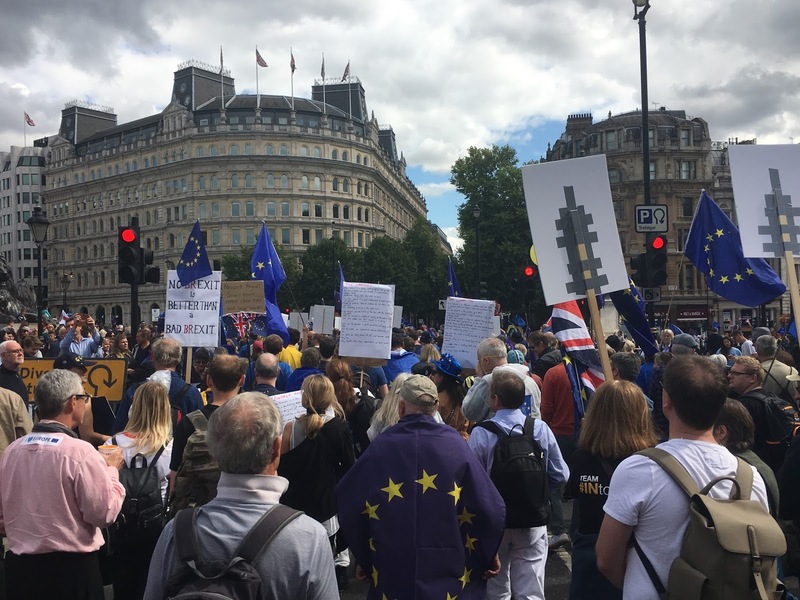 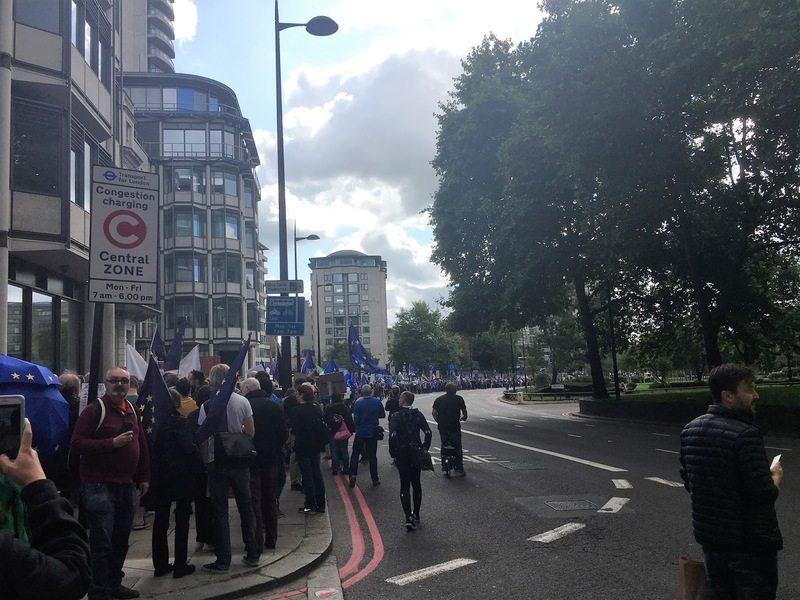 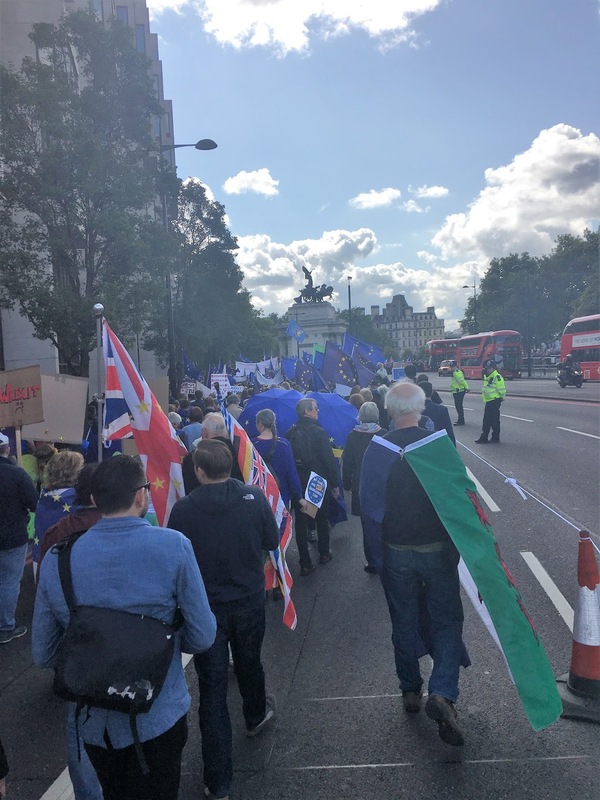 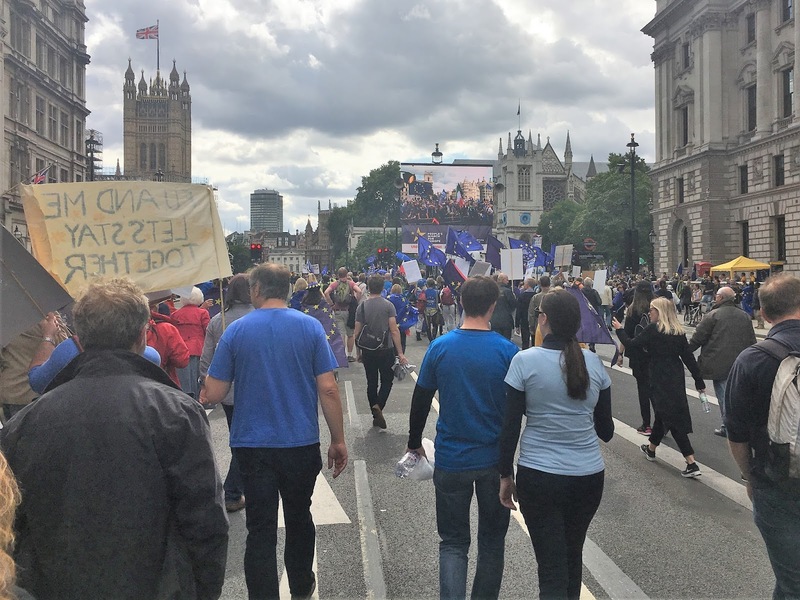 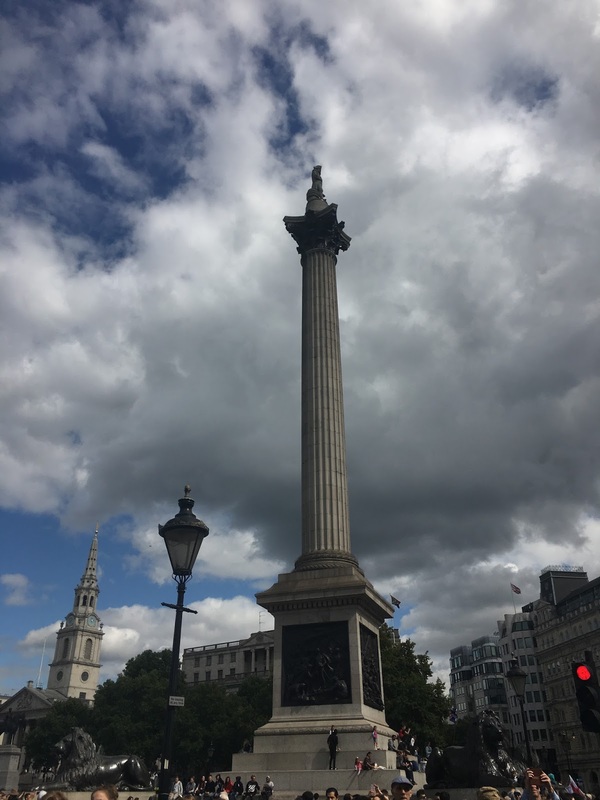 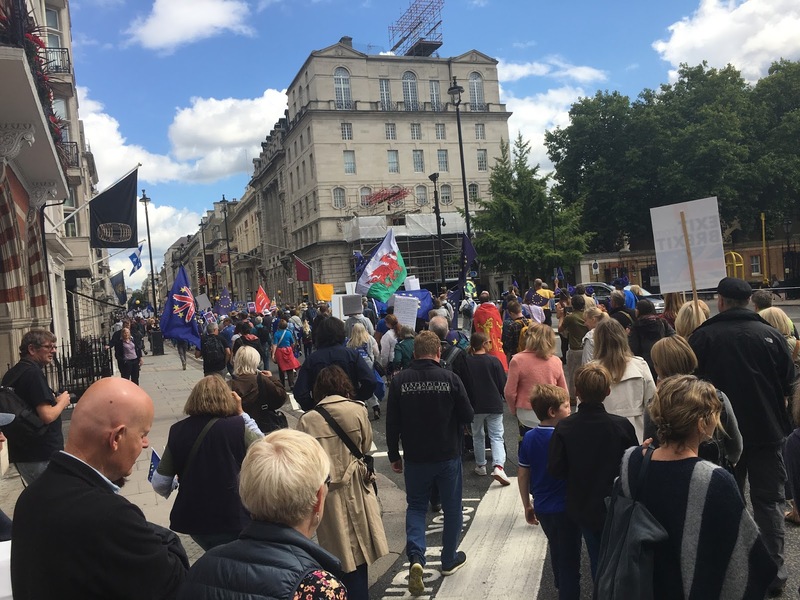 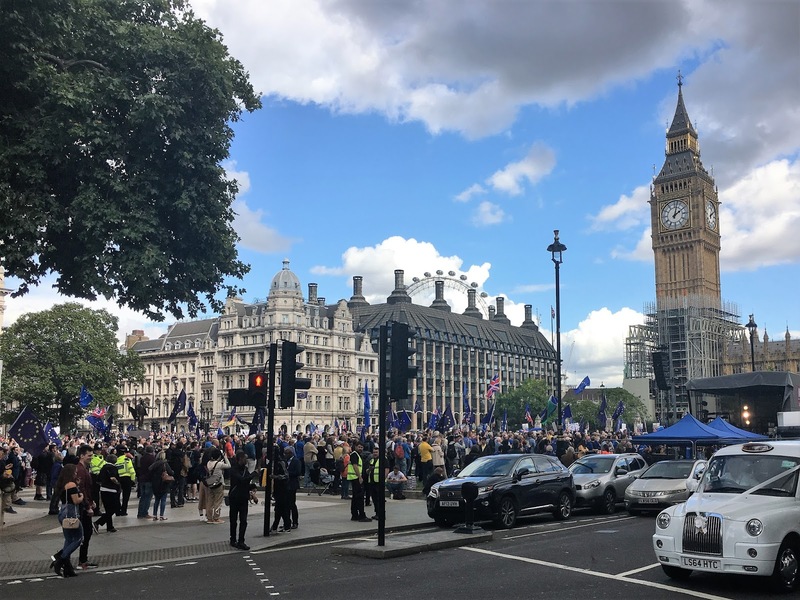 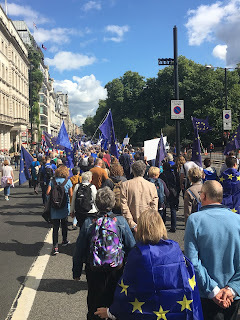 The great majority of people who approached us were agreeing with what we were there to represent: the will for the UK to remain a member state of the EU. Thank you to everybody who came along to support us! 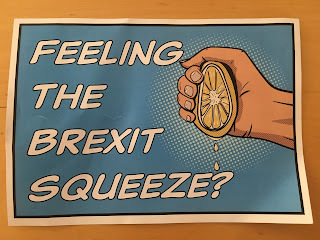 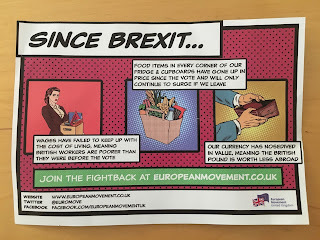 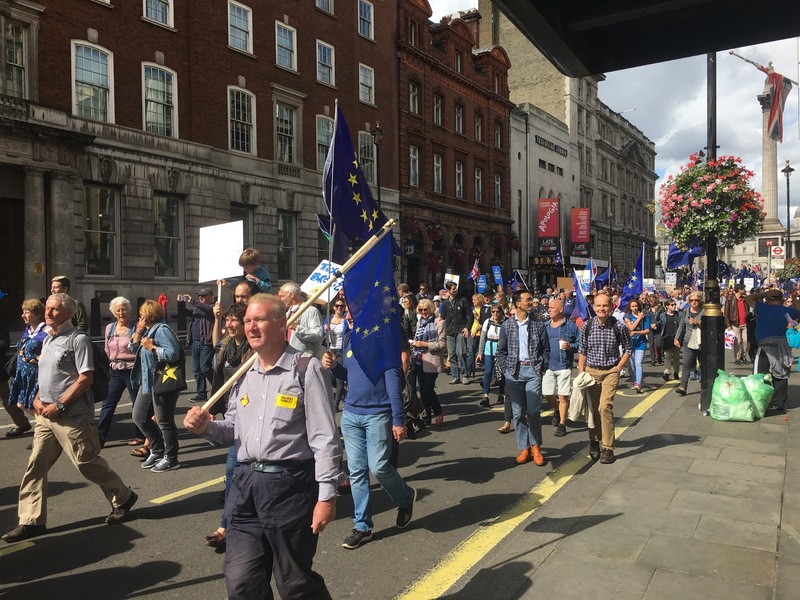 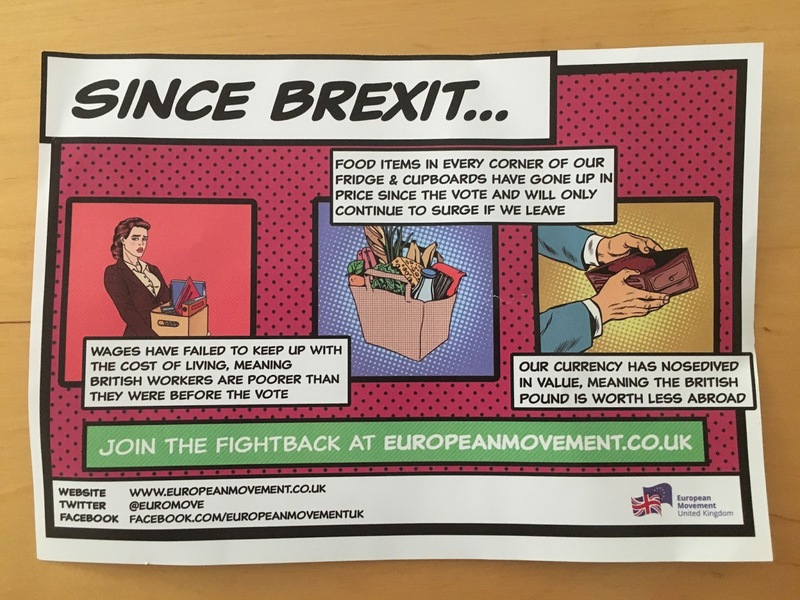 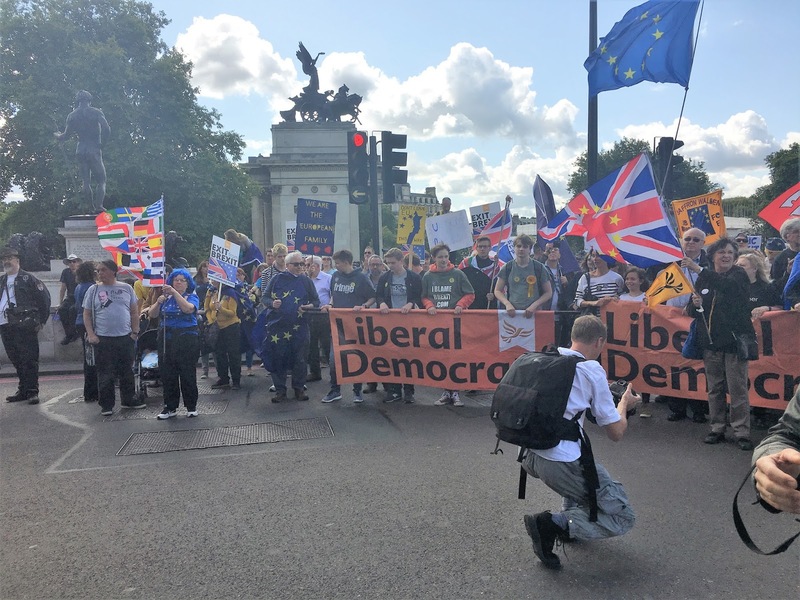 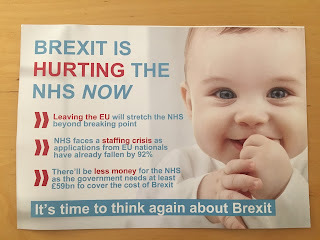 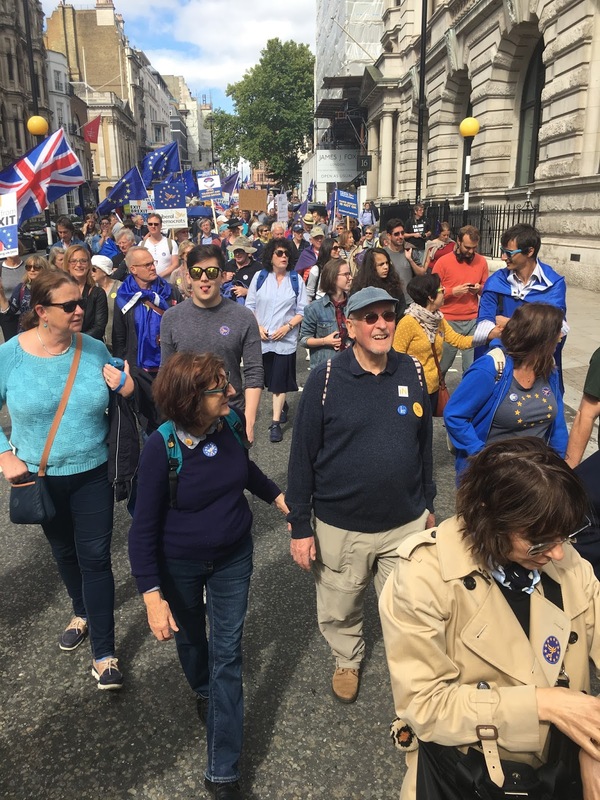 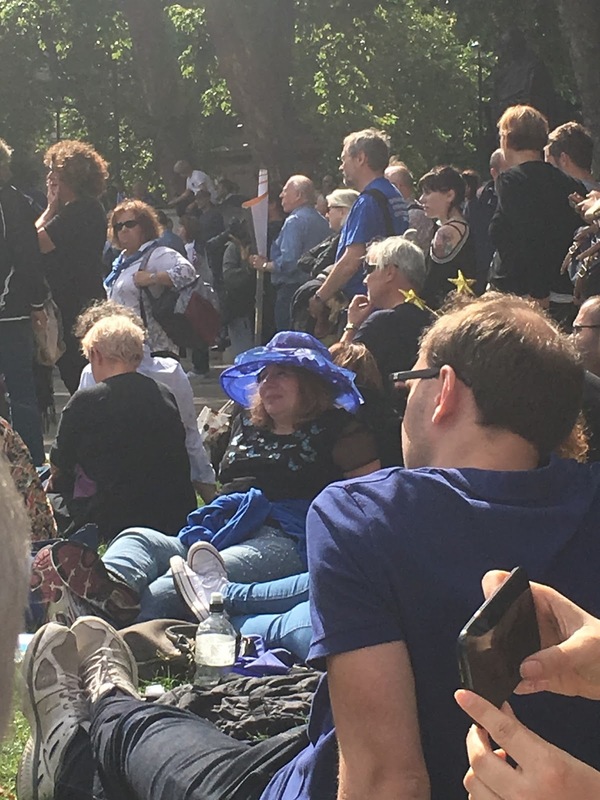 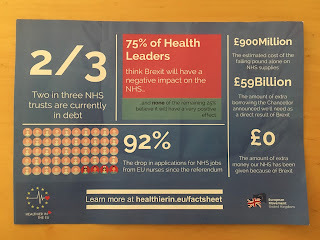 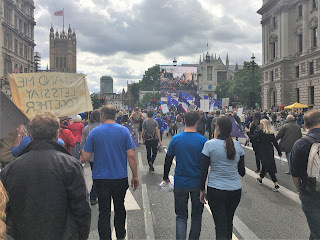 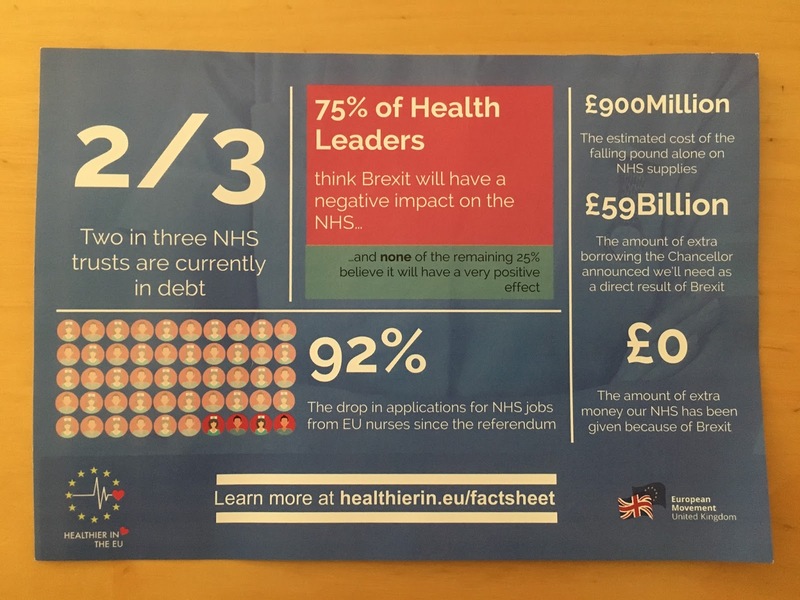 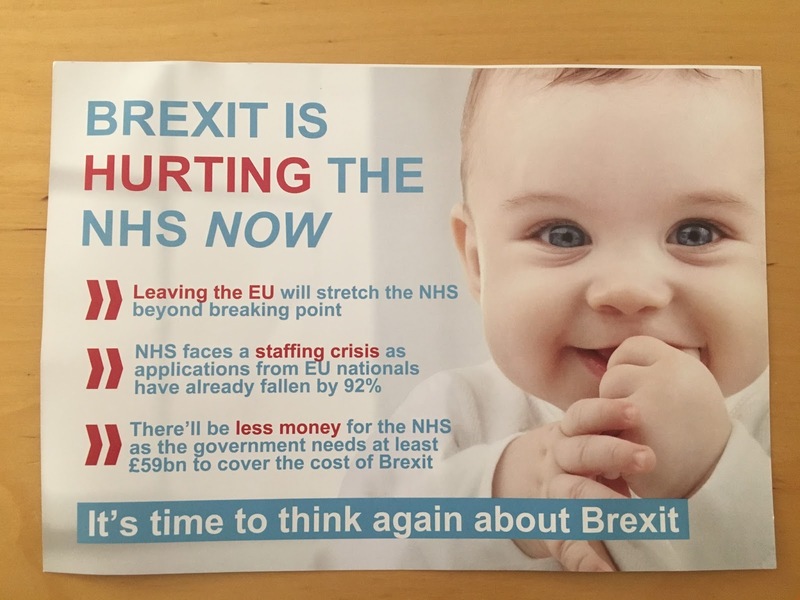 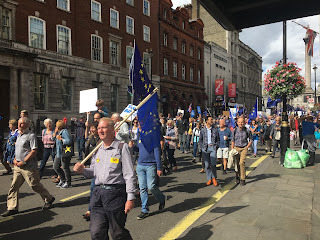 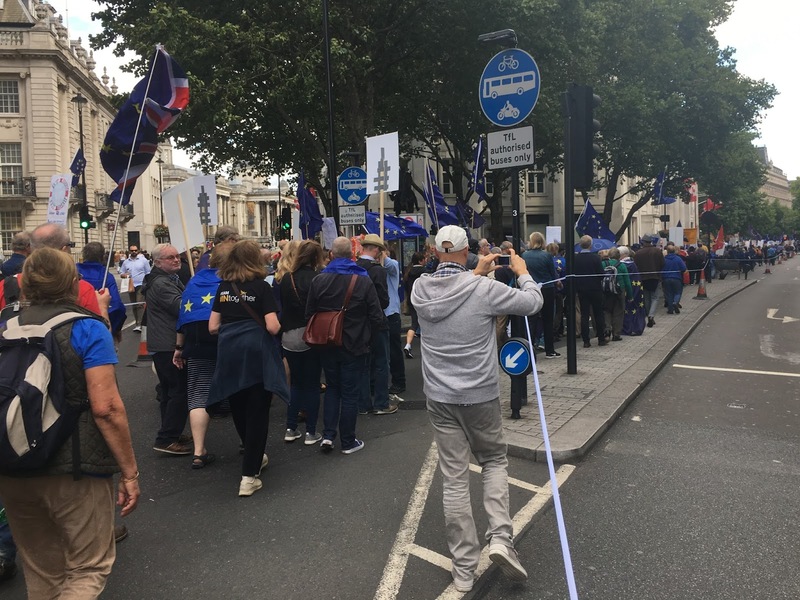 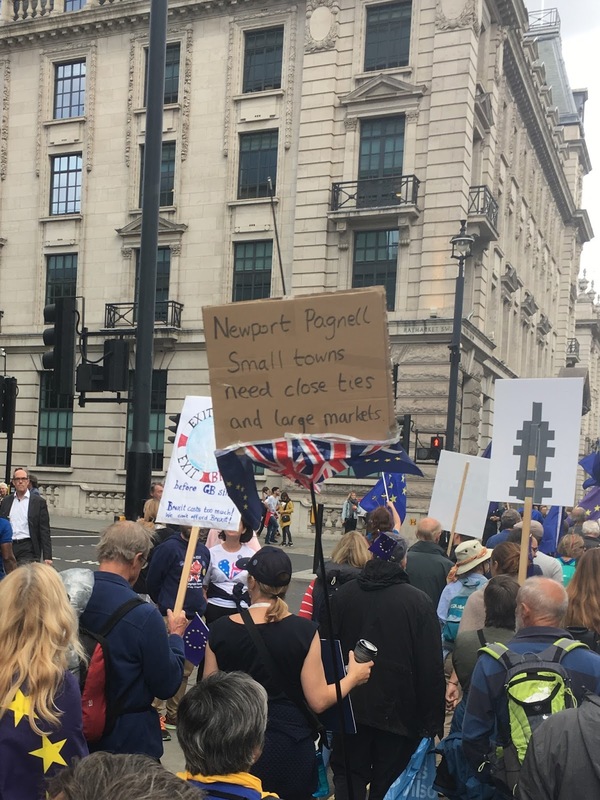 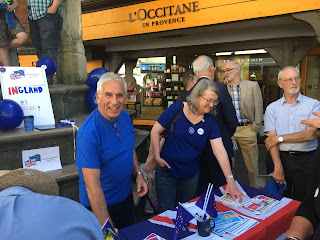 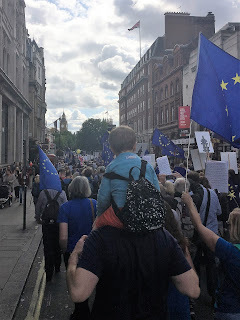 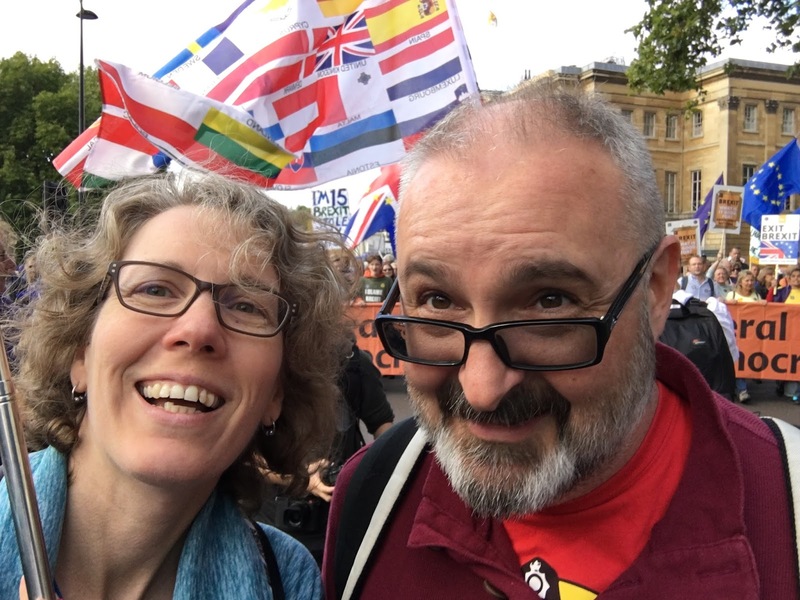 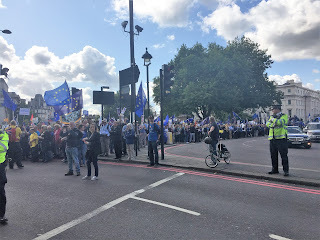 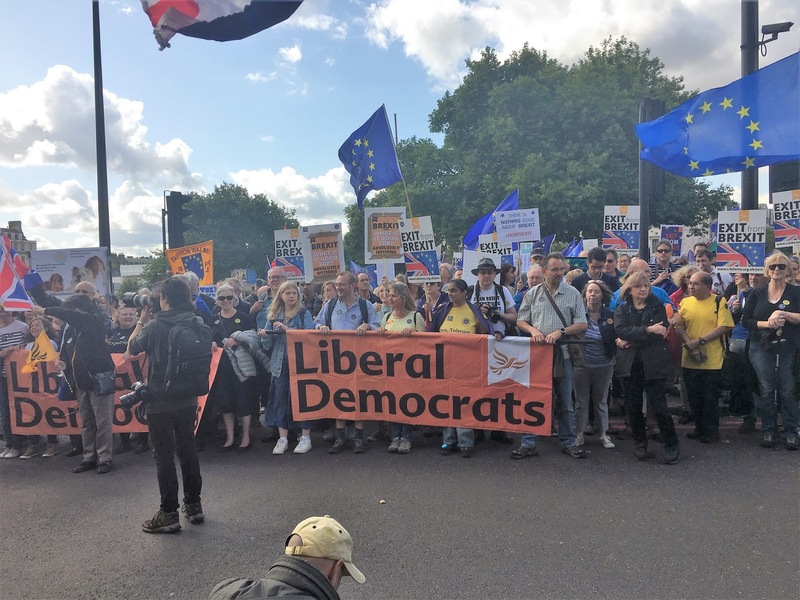 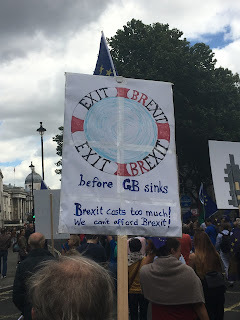 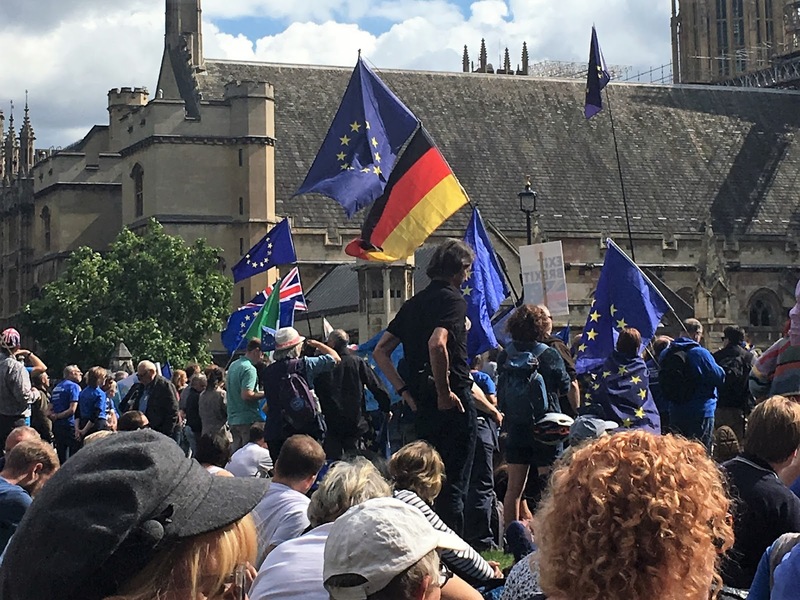 The European Movement had set up their street stall from 2pm and some members of the Win-IN and The 48% - Winchester groups were there early to also join in with the fun of talking to people, and hand out EU flags to children and leaflets to interested grown-ups. 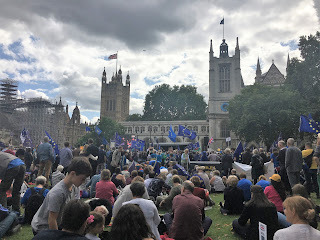 We had a some more people join us at 3pm which was the agreed time for our gathering. I only have a few photos which don't show all of the people who were there so this will have to do. 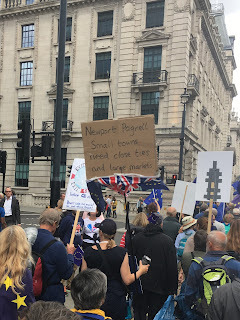 After this, a good number of us went to the pub to socialise a little among the different groups. 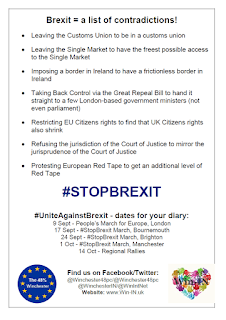 We are hoping to be working together with the European Movement again on organising some more of these afternoons! 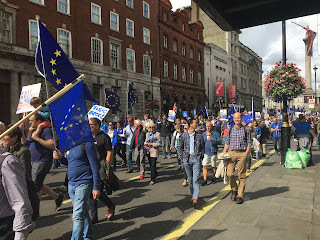 Again, if you should have some time tomorrow (2 September), go and have a look (or even better help!) 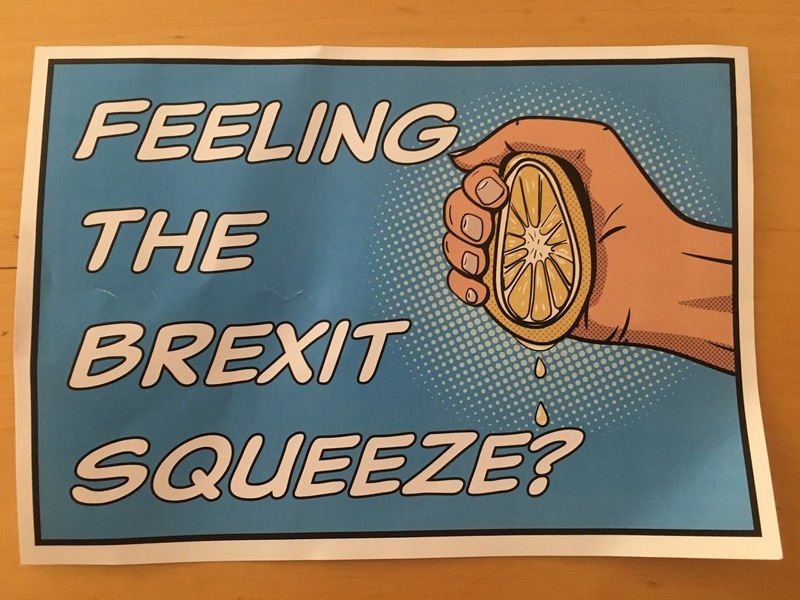 at the second street stall that the local European Movement group has organised. They are gathering at the Buttercross in Winchester at 2pm and will join the Win-IN/The 48% - Winchester gathering at 3pm! Wear something blue, bring a flag, come and support us! Spare just few minutes or couple of hours! 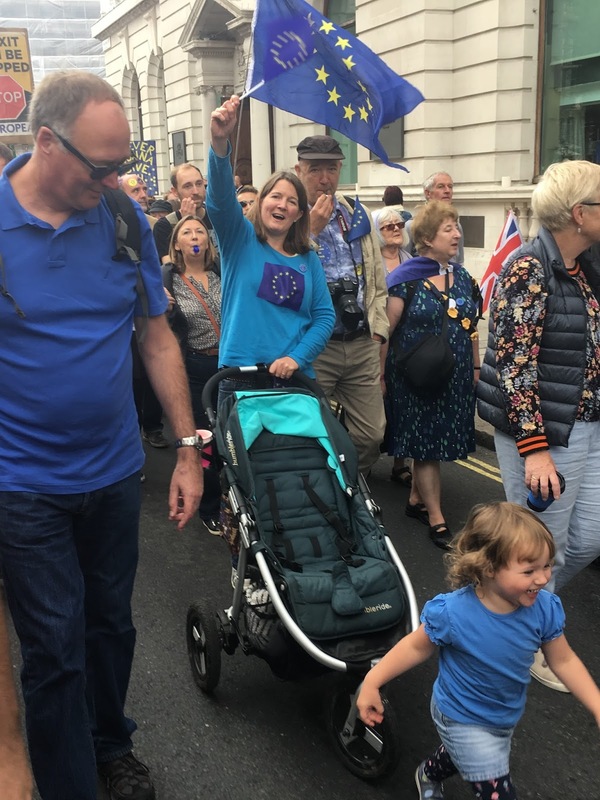 It is the future of our children we are protecting.